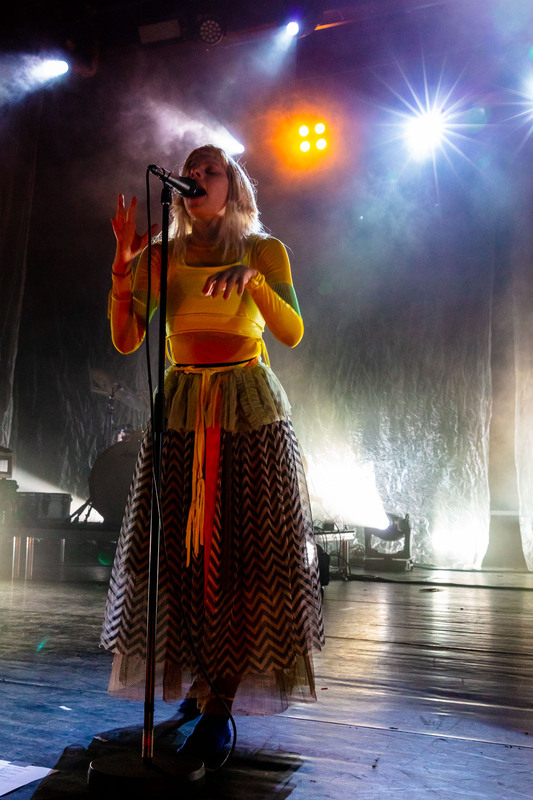 Norwegian singer Aurora presented her 2nd album Infections of a Different Kind (Step 1) to her audience in Belgium last weekend. 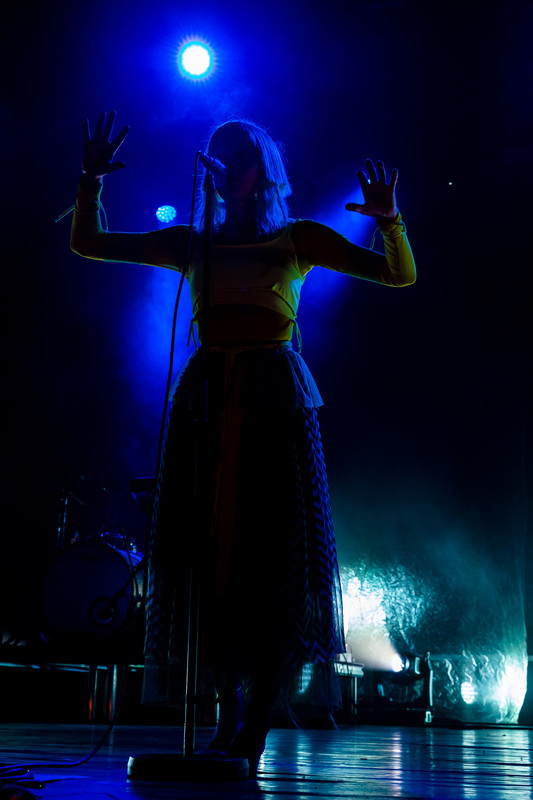 I had the pleasure and the honor to cover her gig at Trix in Antwerp for FrontView Magazine. 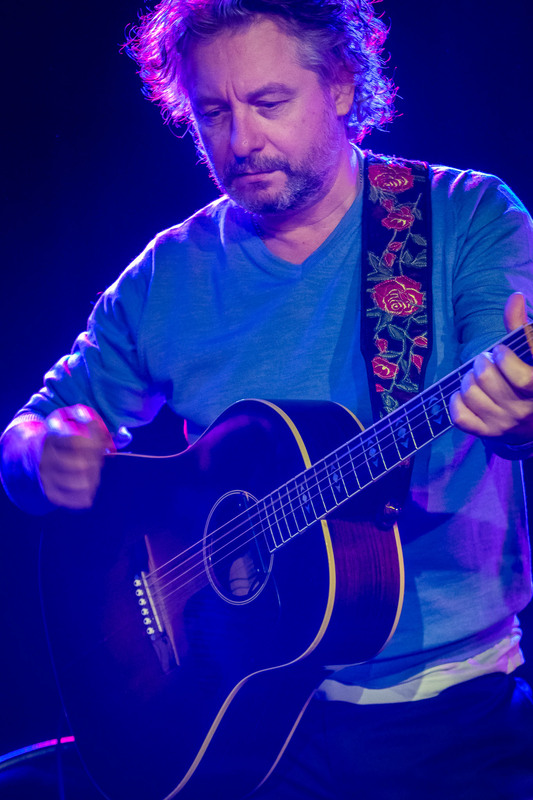 Here’s a couple of photos from Saturday’s concert. The full album is on FrontView Magazine’s website. 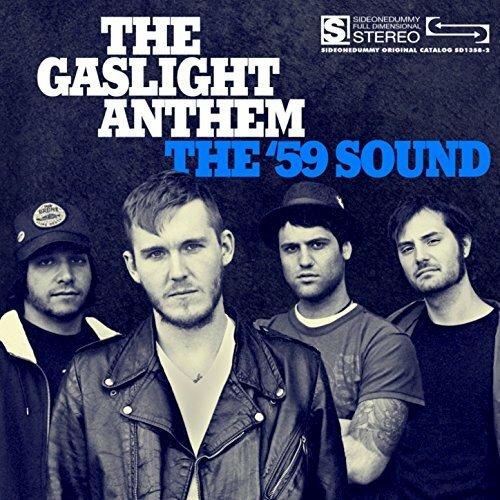 The Gaslight Anthem is currently touring to celebrate the 10th anniversary of the release of their sophomore album The ’59 Sound. 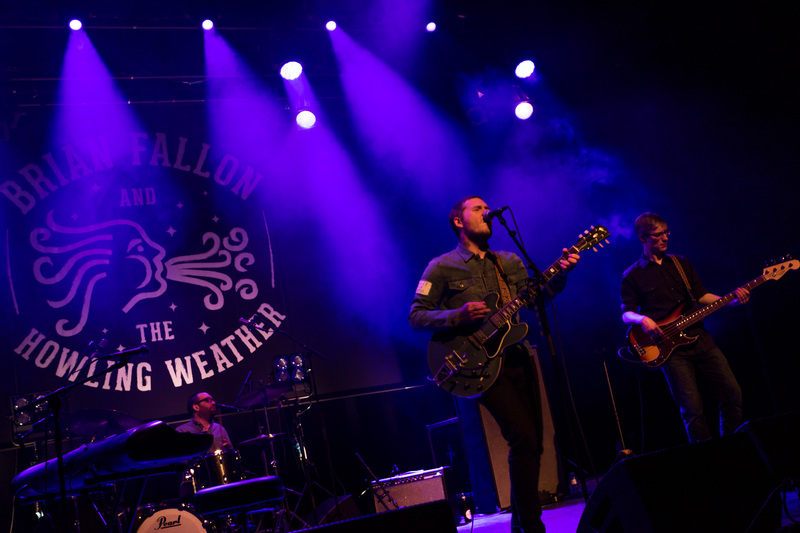 Like their lead singer Brian Fallon, the band hails from New Brunswick, NJ. 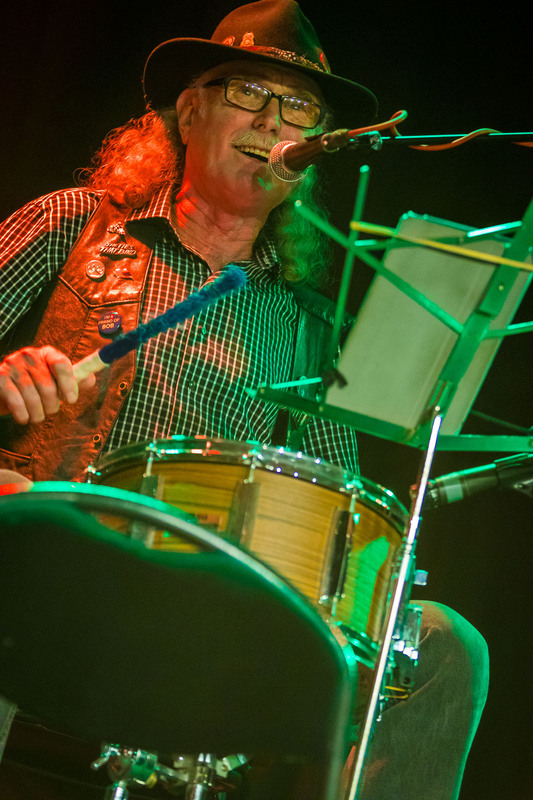 The band appeared on my radar when Bruce Springsteen did a couple of notable guest appearances with them. I remembering loving the album at first listen. Their garage rock sounded very familiar to me, and yet fresh at the same time. Many of the songs were set in my beloved New York City and gave me similar vibes as I get them from listing to Springsteen’s Born to Run album: when I close my eyes, I see flashes of NYC in a film-noire kinda style. I Saw them live for the 1st time at the Hard Rock Calling festival where they were on the bill together with Bruce Springsteen & the E Street Band. Guest appearances did happen that day. And I saw them pretty much on every tour that brought them to Belgium or the Netherlands after that. 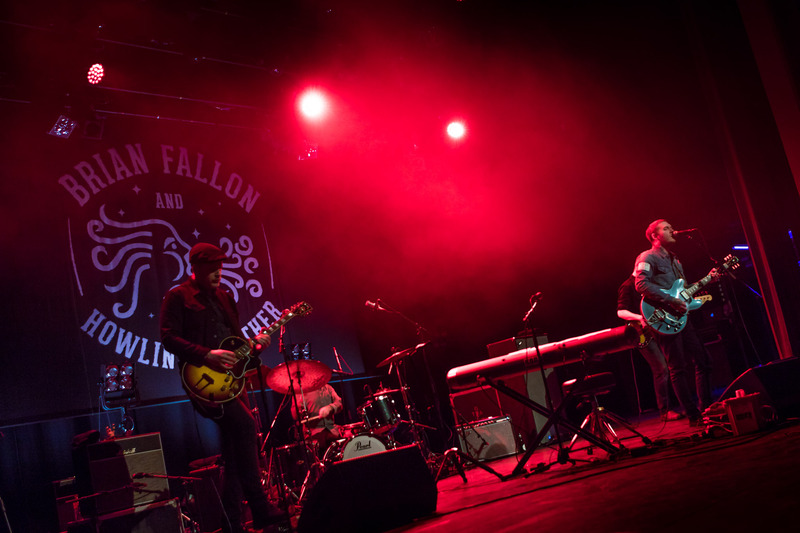 After the band went on hiatus and Brian Fallon released 2 solo albums, I went to see him live a couple of times too. This album and the band opened the door to a whole new generation of young Jersey Shore artists for me. Once I got to know The Gaslight Anthem and I started looking for what-else-is-new on the Jersey Shore, I discovered bands like The Brigantines, Dentist, Bobby Mahoney and the Seventh Son and Taylor Tote. So, tonight as I head down to 013 in Tilburg to go see The Gaslight Anthem, it is more than just about that album. It is about a ton of great bands that helped me write the soundtrack of my life. I’ve spent the weekend in London for the C2C Festival. C2C is a country festival at the O2 Arena. It had a fantastic line up this year: Faith Hill & Tim McGraw, Kelsea Ballerini, Ashley McBryde, Sugarland, Ashley Campbell, Kacey Musgraves, Danielle Bradbery, Emmylou Harris, Little Big Town and my 1st ever chance to see Lindsay Ell live. Tons of good music. I came back with a big smile on my face and a bunch of signed CD’s. My iPhone was pretty much the only camera I had on me all weekend. And it still surprises me that–in the right conditions–it is an amazing camera. 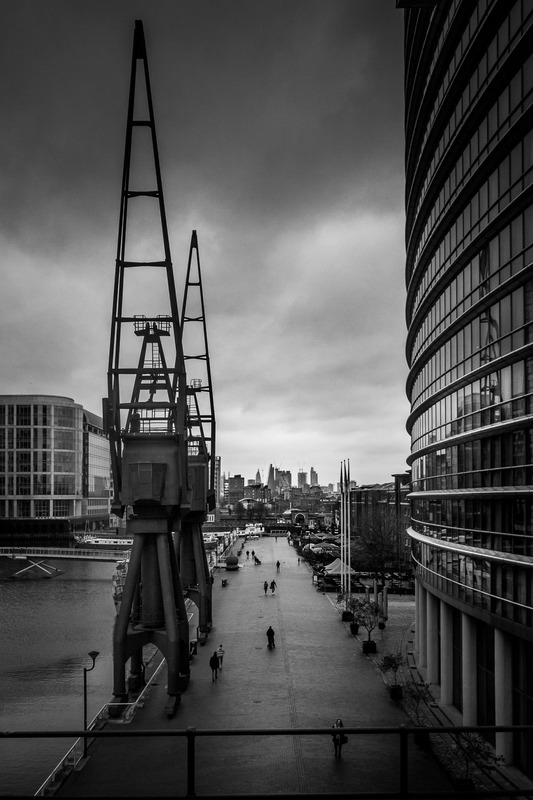 I shot this view from the platform of the West India Quai DLR station on our way to the festival. 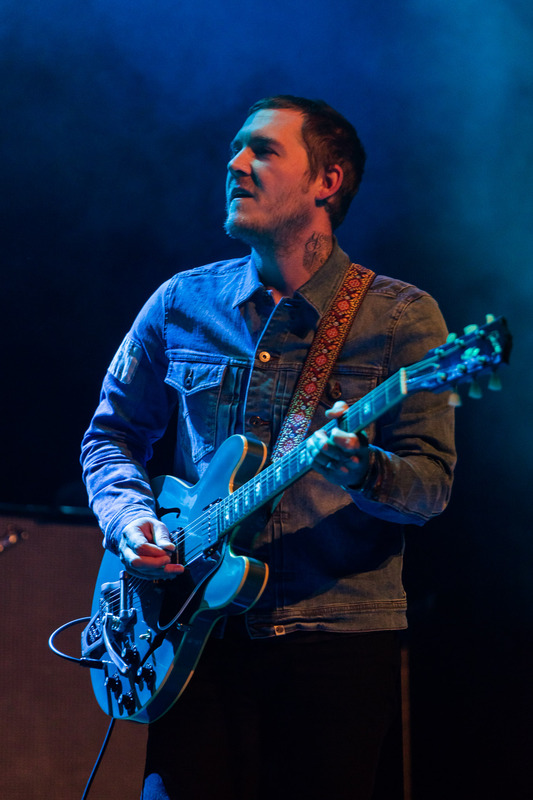 Brian Fallon, a native of New Brunswick, NJ hit the music scene as front man of the punk rock band The Gaslight Anthem in 2006. They attracted the attention of myself, Bruce Springsteen and the world with the release of their album The ’59 Sound. 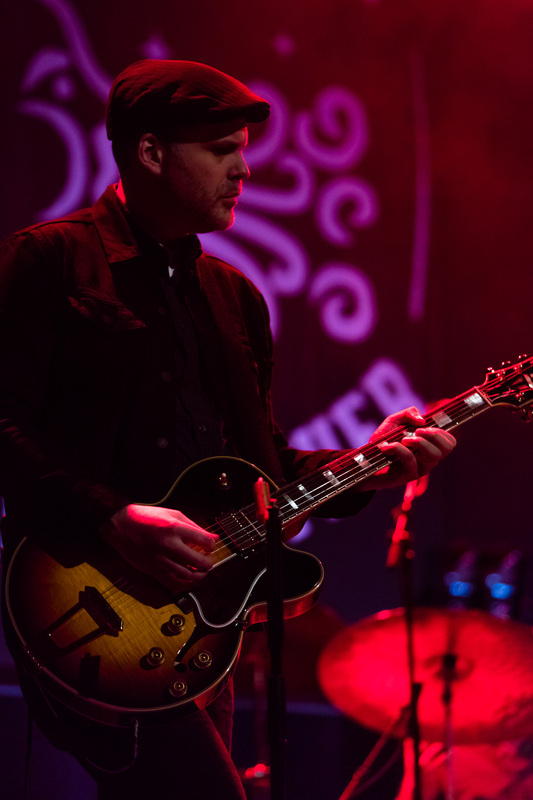 After the band went on indefinite hiatus, Brian Fallon started a solo carreer, releasing his 1st solo album Painkillers in 2016 and his sophomore album Sleepwalkers early 2018. Be sure to also check out Brian Fallon’s latest album Sleepwalkers. 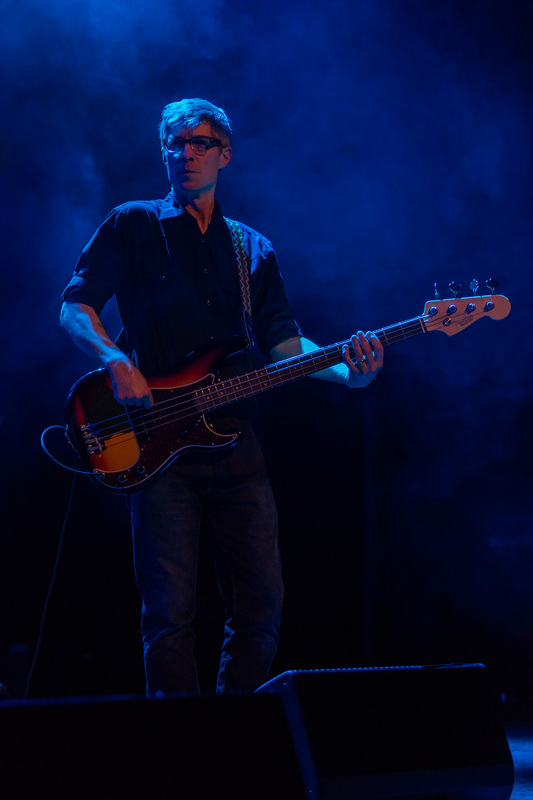 He is currently touring the US and Europe with his band The Howling Weather and he played De Roma in Antwerp last night. 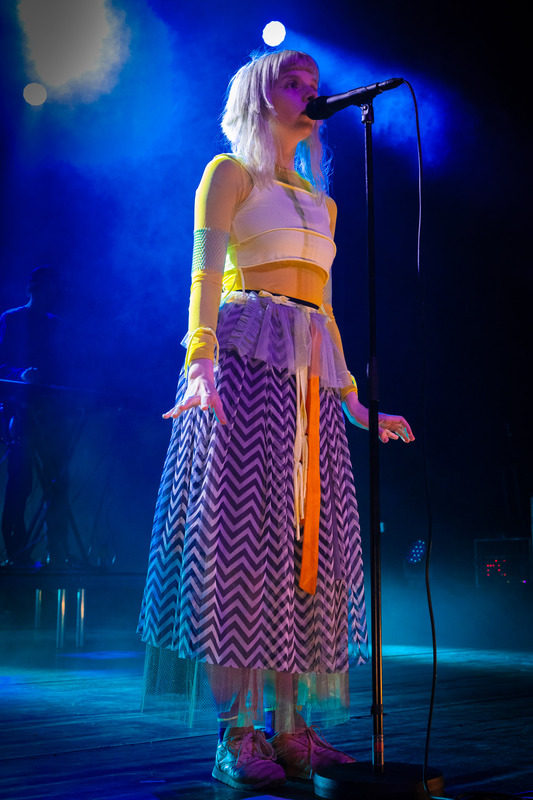 More photos of yesterday’s show on Frontview Magazine. 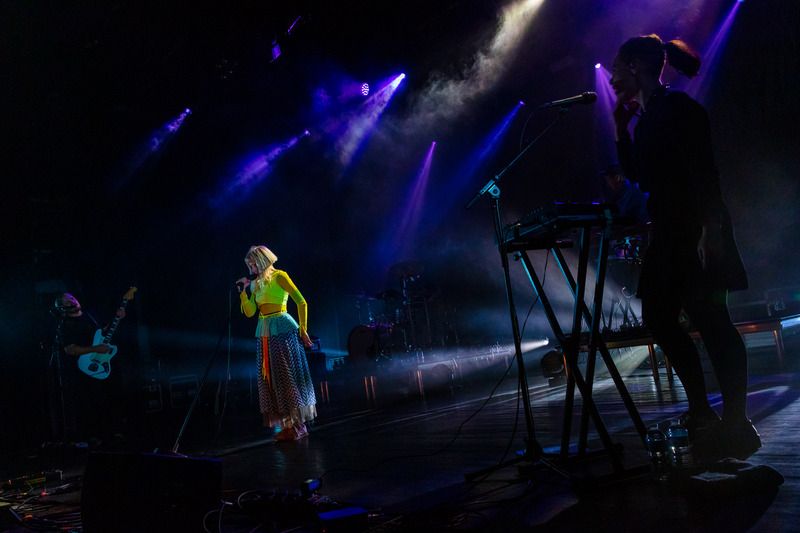 A little photographic impression of the 2018 Light of Day concert in Belgium. The Light of Day Foundation, raises awareness and funds to support research to defeat Parkinson’s disease. 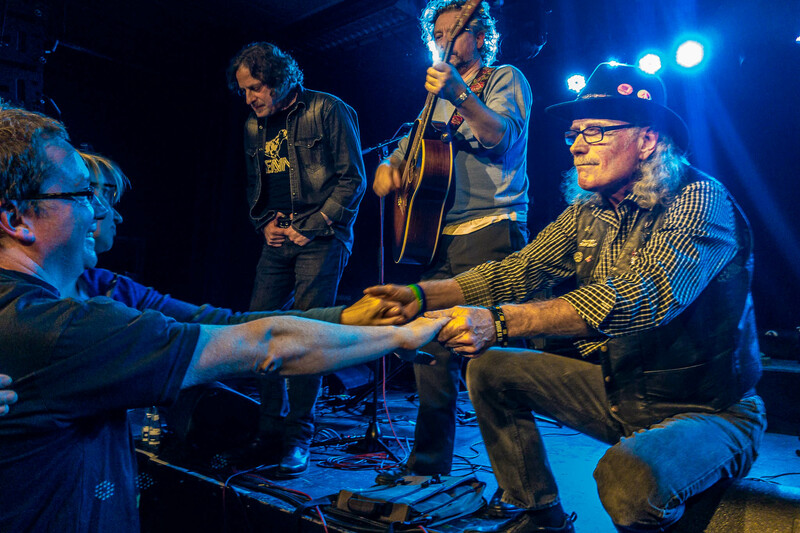 It started in 1998 as a birthday party for music veteran Bob Benjamin who has been diagnosed with Parkinson’s disease himself. 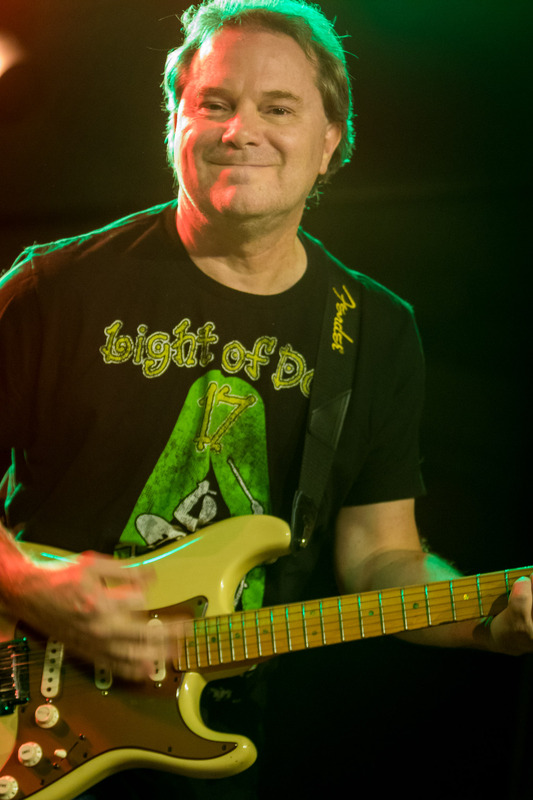 For 20 years, Light of Day benefit concerts are held in the US and Europe. 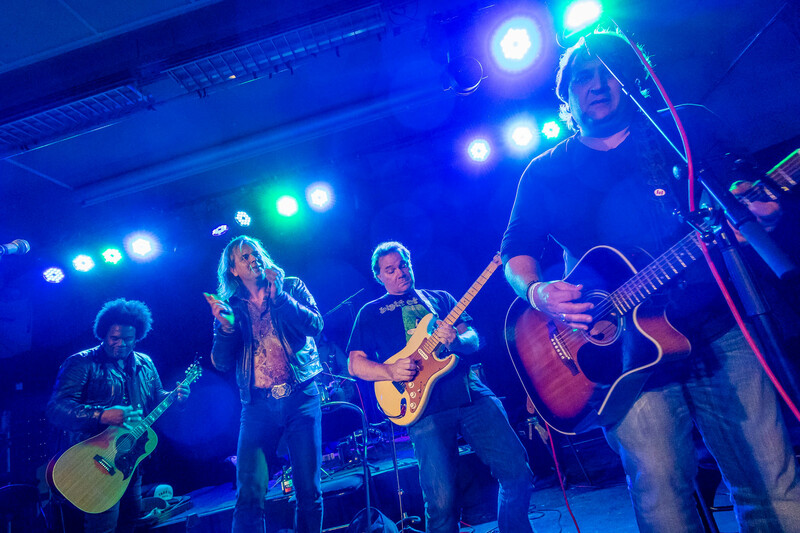 My friend and fellow Springsteen fan Jeffrey De Roeck organizes a Light of Day show in Belgium for quite some years. I cover the show as photographer every year. More photo on the website of Frontview Magazine. 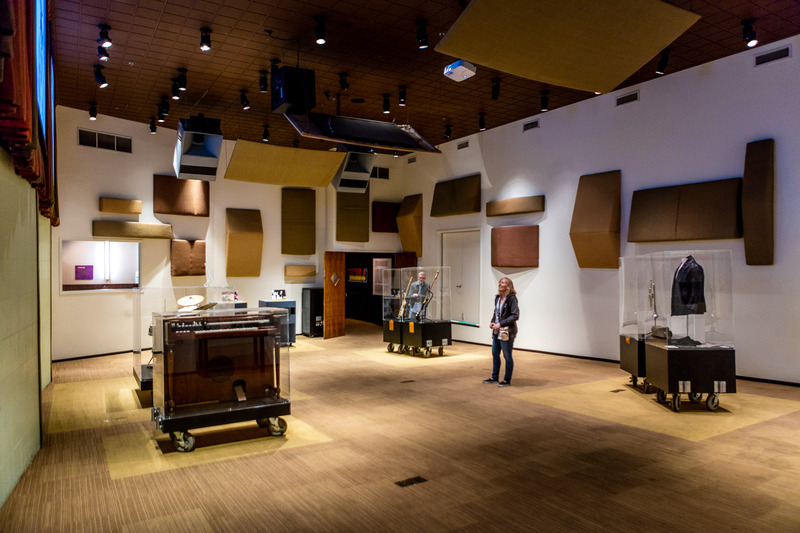 There’s quite a number of recording studios in the Nashville area. 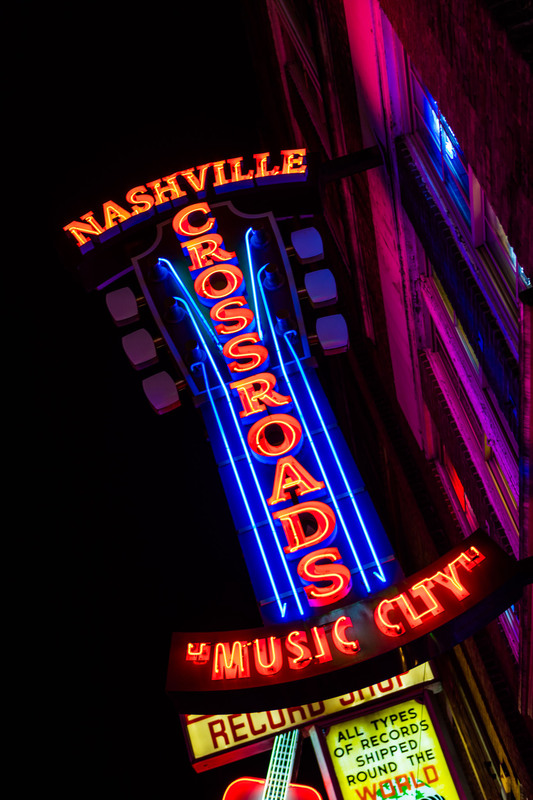 Hey, they don’t call it the Music City for nothing! Most of them are not open to the public. 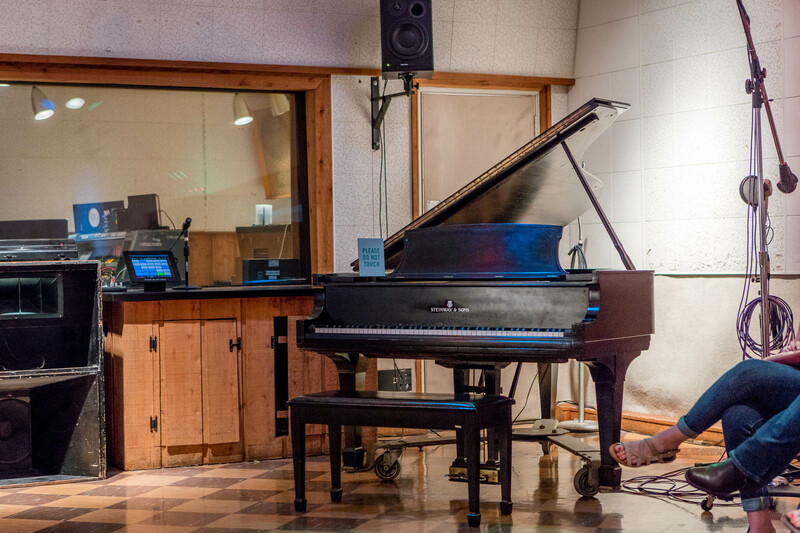 Like the Bradley Studios, aka the Quonset Hut Studio, later owned by Columbia Records on Music Row which today serves as a recording classroom for Belmont University. 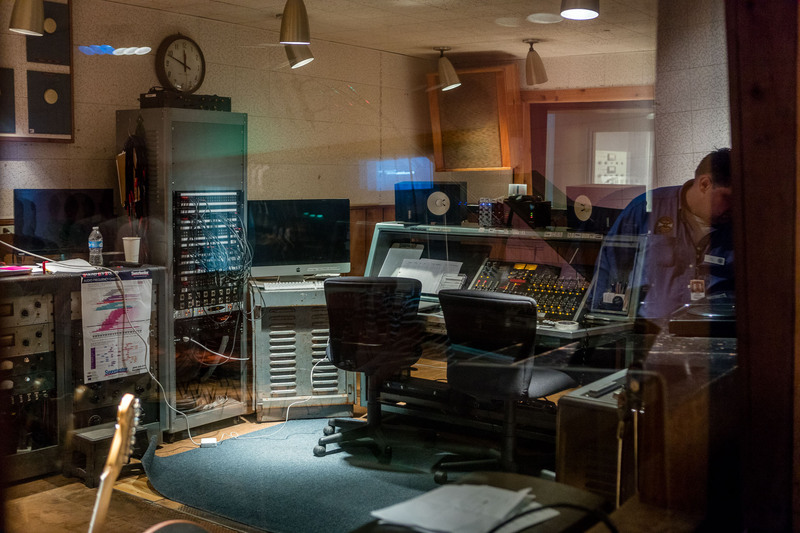 Patsy Cline, Johnny Cash, Bob Dylan and Tammy Wynette have recorded at those studios over the years. 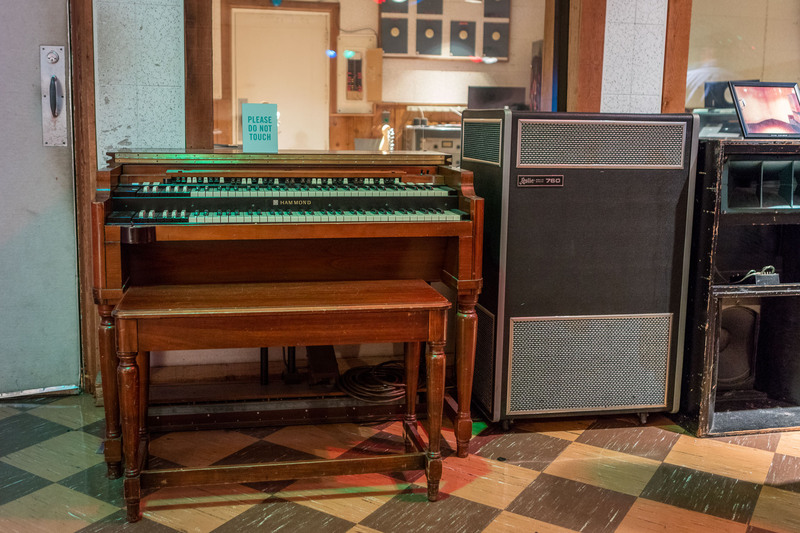 The RCA Victor Studio B is no longer and active studio but hold a legendary status. 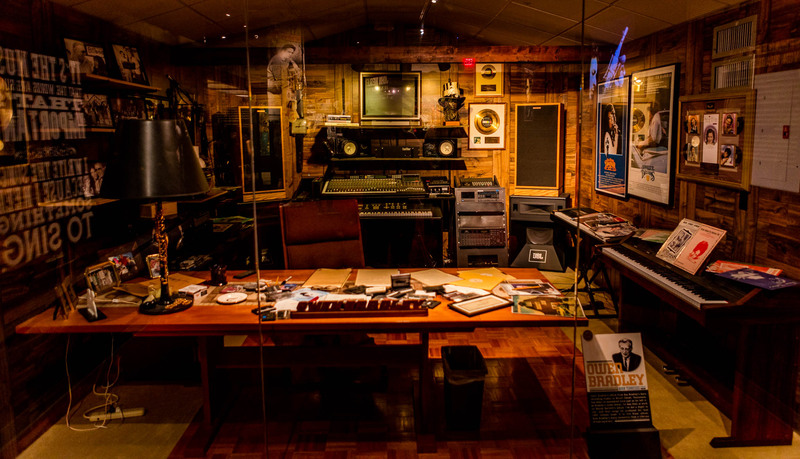 Elvis recorded many of his greatest hits in this studio designed by the legendary Chet Atkins. 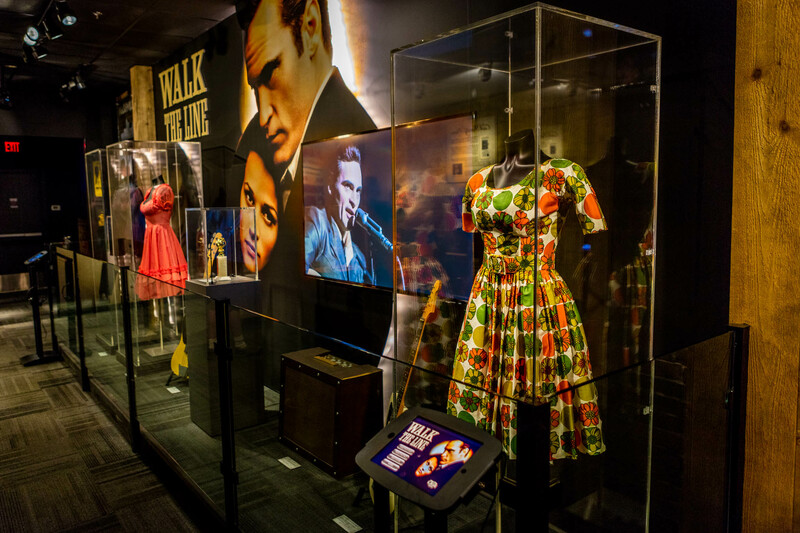 Open to the public, it can only be visited in conjunction with a visit to the Country Music Hall of Fame. 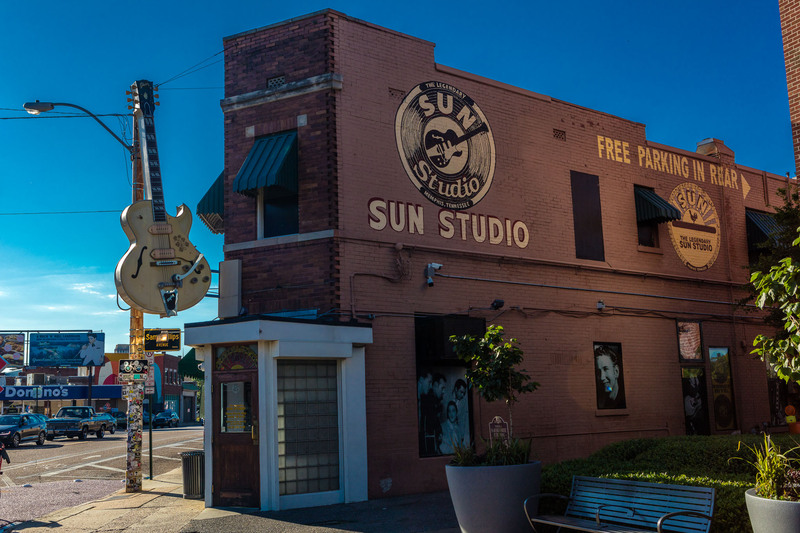 In Memphis you should obviously visit the legendary Sun Studio where Elvis Presley recorded his 1st songs. 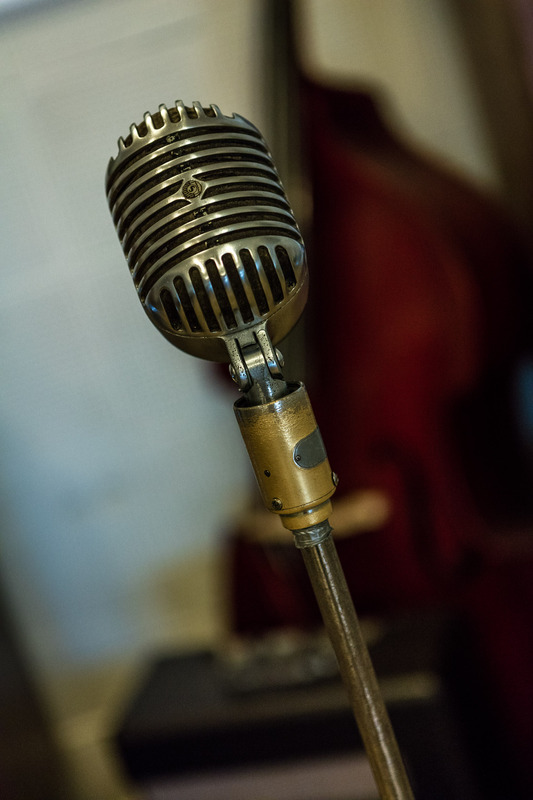 But did you know that legends like Johnny Cash, Roy Orbison and Jerry Lee Lewis recorded there too? 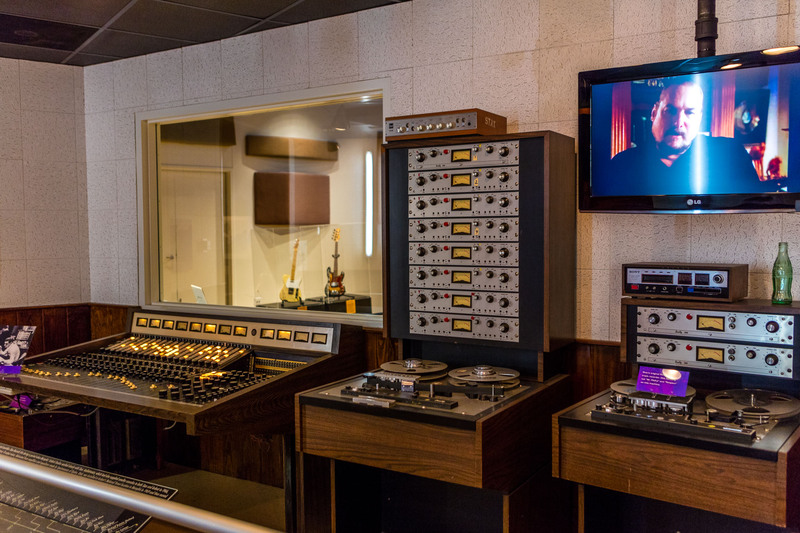 And did you know that the studio that was opened by rock-and-roll pioneer Sam Phillips at 706 Union Aven on January 3, 1950 is still being used today? 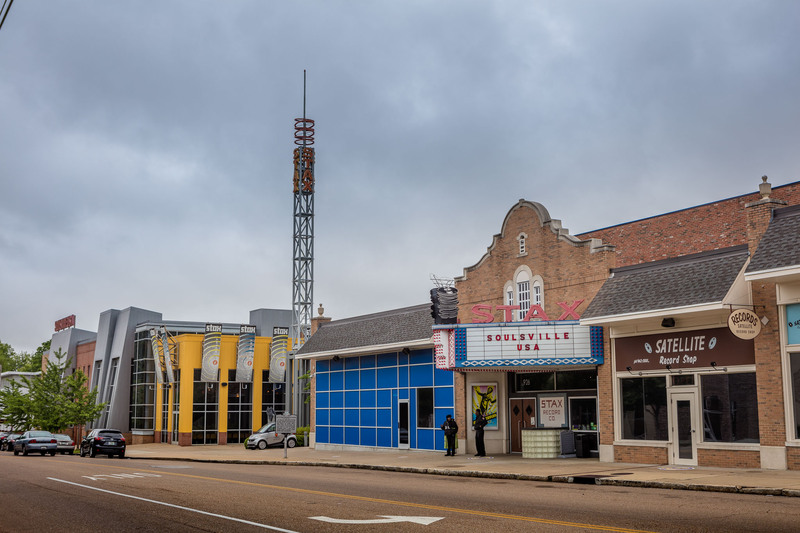 A little less known maybe but just as awesome to visit is the studio at Stax Records at 926 E. McLemore Ave in Memphis. 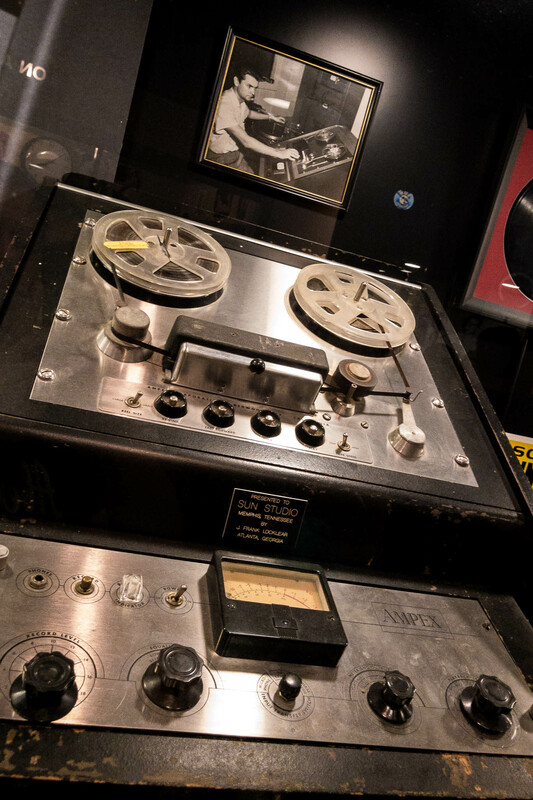 The site is currently a Museum about the history of Stax Records but when you think of the artists that have recorded there—Otis Redding, Booker T. & the M.G.’s, Isaac Hayes and Carla Thomas amongst others—you just have to visit it. 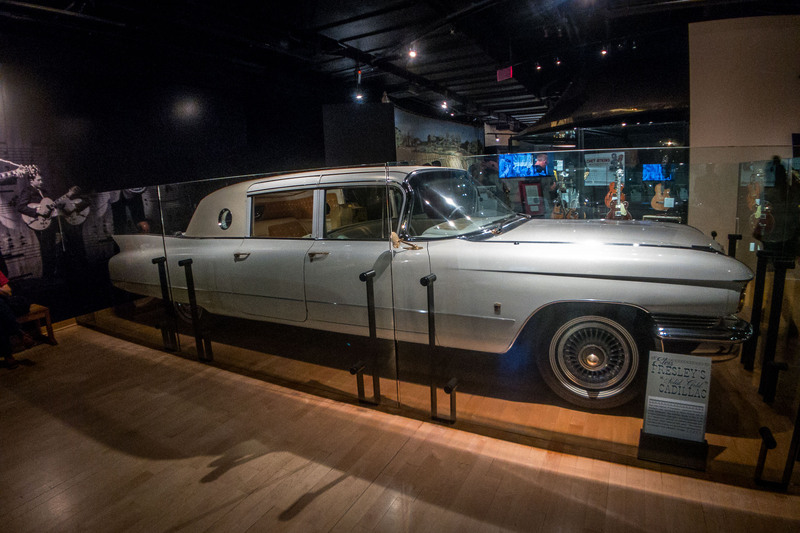 The Country Music Hall of Fame & Museum front, bordering the Music City Walk of Fame Park, resembles the keys on a piano keyboard combined with the tailfin of a 1959 Cadillac Sedan. And the tower is a replica of the WSM radio tower. 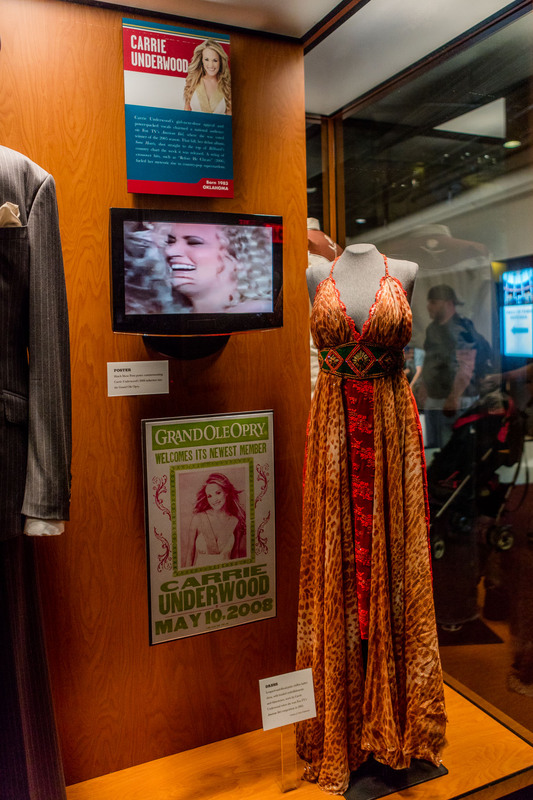 Inside the building’s rotunda, all Country Music Hall of Fame inductees are commemorated with their own commemorative plaque below the Carter Family’s–yes, that would be the relatives of June Carter Cash–classic country song tittle Will The Circle Ge Unbroken. 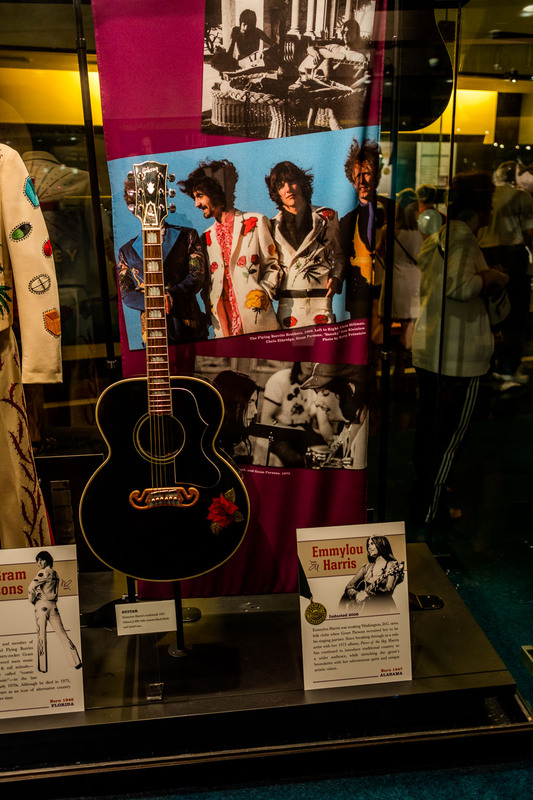 The museum showcases anything country related: from Elvis Presley’s “Solid Gold” Cadillac to instruments and wardrobe by famous country artists like Hank Williams, Taylor Swift, Carrie Underwood, the Dixie Chicks, Minnie Pearl and Emmylou Harris, as well as the recording studio once used by Owen Bradley. 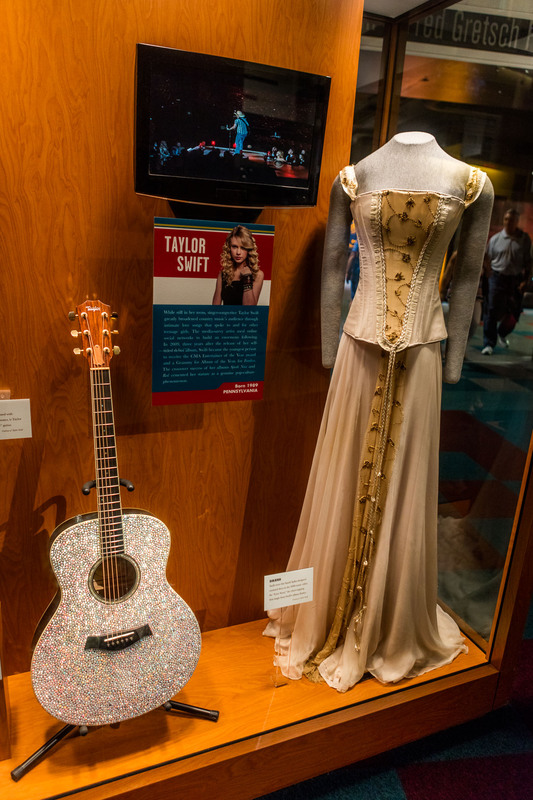 And when I saw Taylor Swift’s tou bus parked in the museum, I waited for hours for Ms. Swift to come out. When I realized she wasn’t there, I finally gave up. 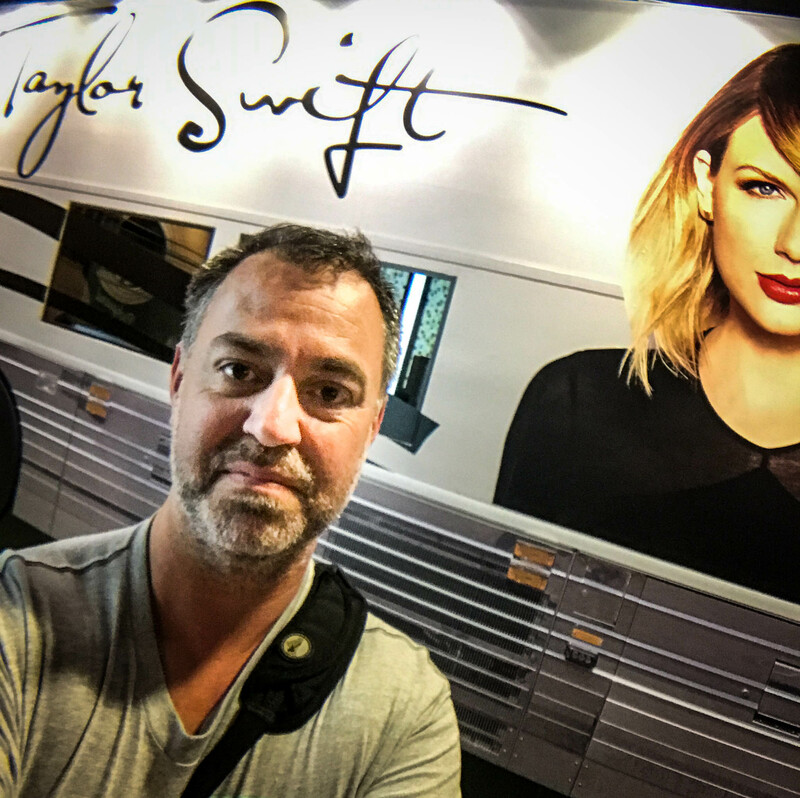 But not before snapping a selfie in front of her tour bus. 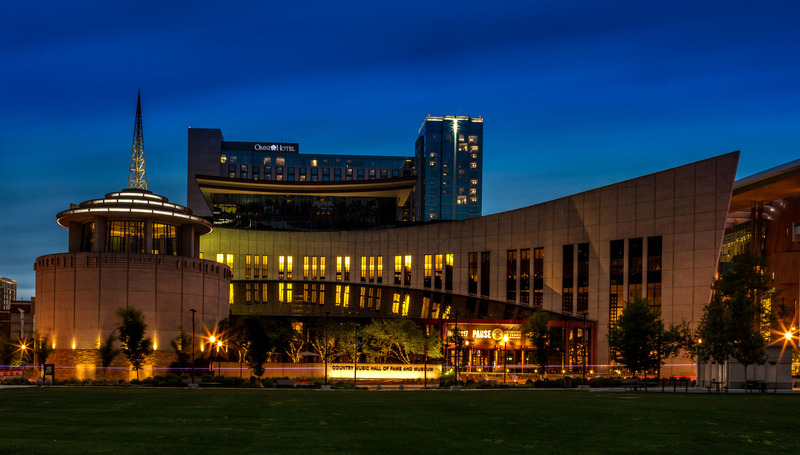 The Grand Ole Opry truly a legend in the Music City. 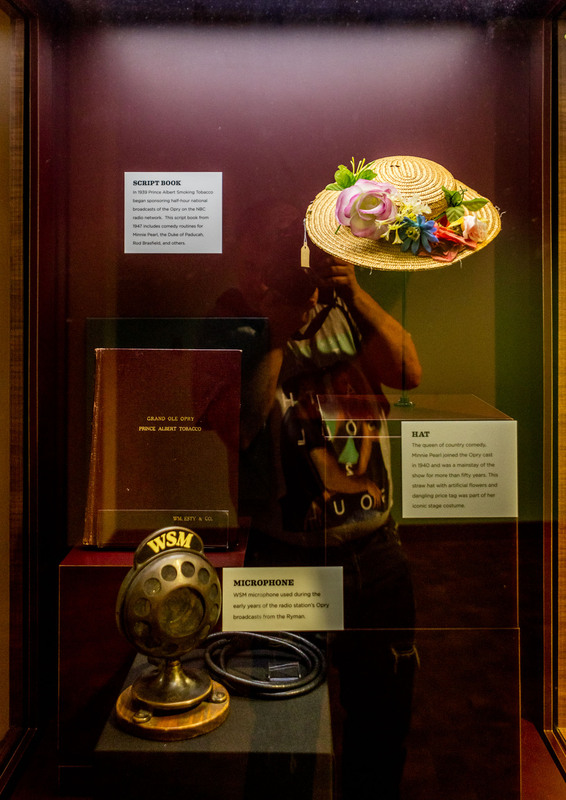 It started as a 1 hour long radio show on WSM on November 25, 1925. 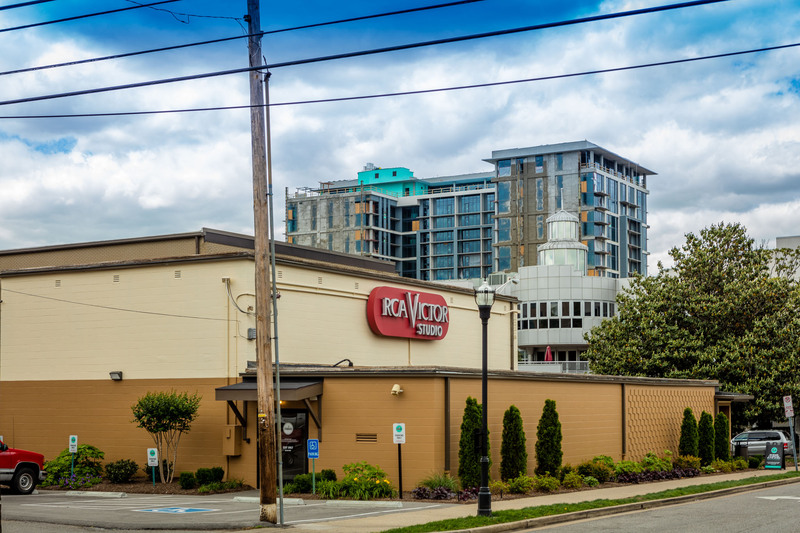 Back in 1925, it ran as a weekly show, Today, it runs several times a week, either from the Rynam Auditorium in downtown Nashville or from the Grand Ole Opry House on the banks of the Cumberland River. Artists become member of the Orpy by invitation. 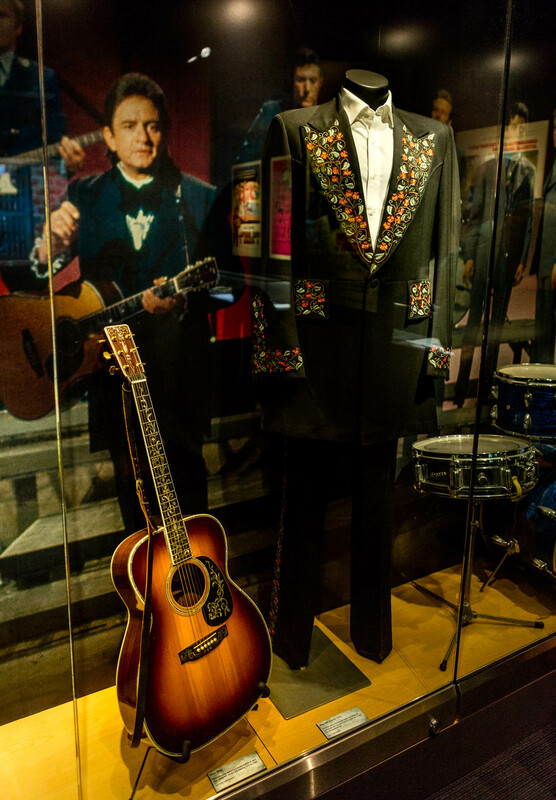 Over the years, artists like Dolly Parton, Hank Williams, Tammy Wynette, Johnny Cash, Emmylou Harris and The Gatlin Brothers have been invited to the Opry. 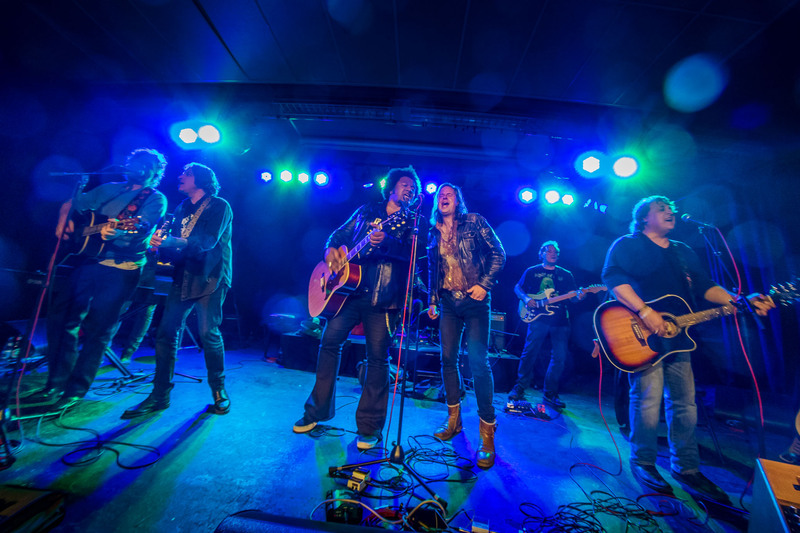 And more recently, amazing young country artists like Carrie Underwood and Little Big Town had the honor of joining. 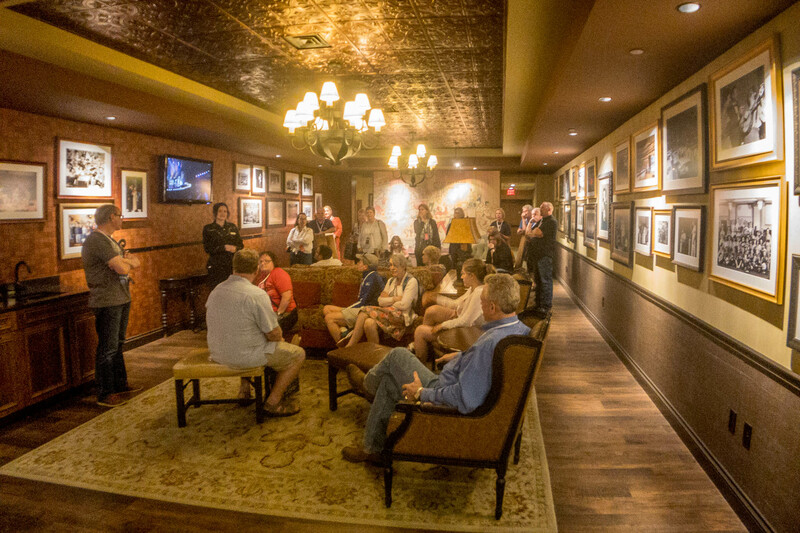 Membership in the Opry remains one of country music’s crowning achievements. 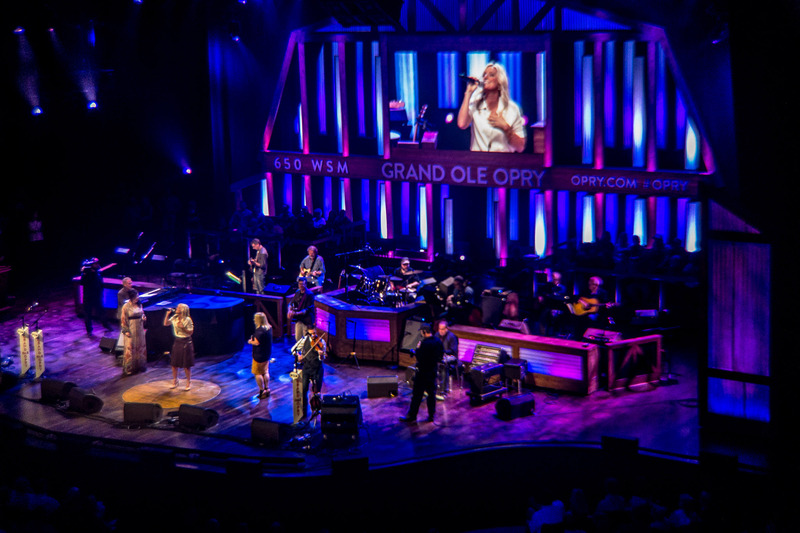 You can listen to the shows at the Opry live online via 650 AM WSM. 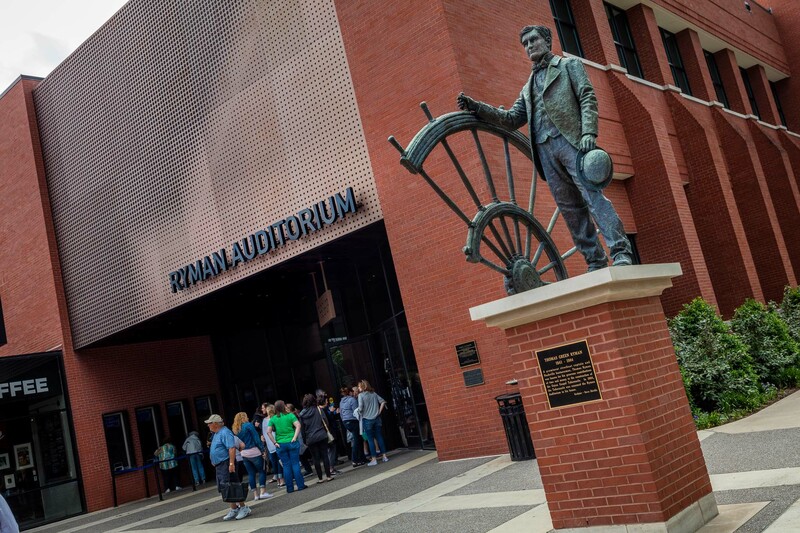 The Ryman Auditorium is a 2300 seat theater in the heart of Nashville. 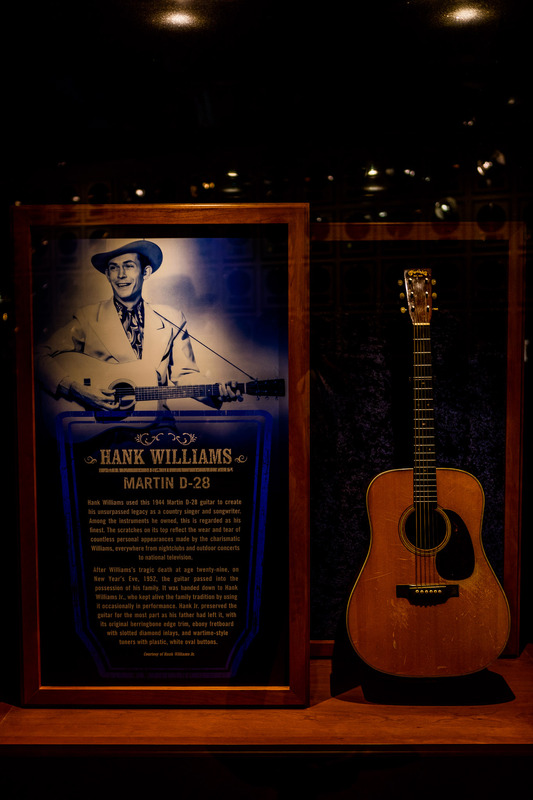 It is considered the birthplace of Bluegrass music. 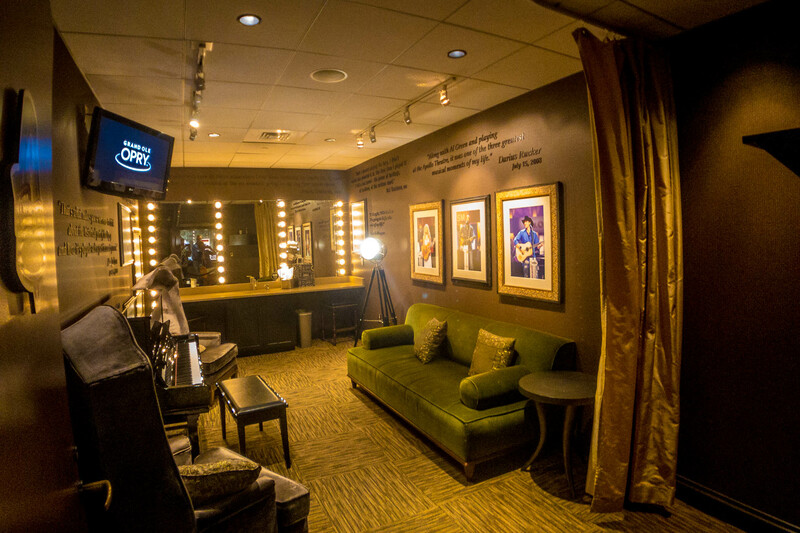 Over the years it hosted many famous country artists and even Bruce Springsteen has played there on his Devils & Dust solo acoustic tour. 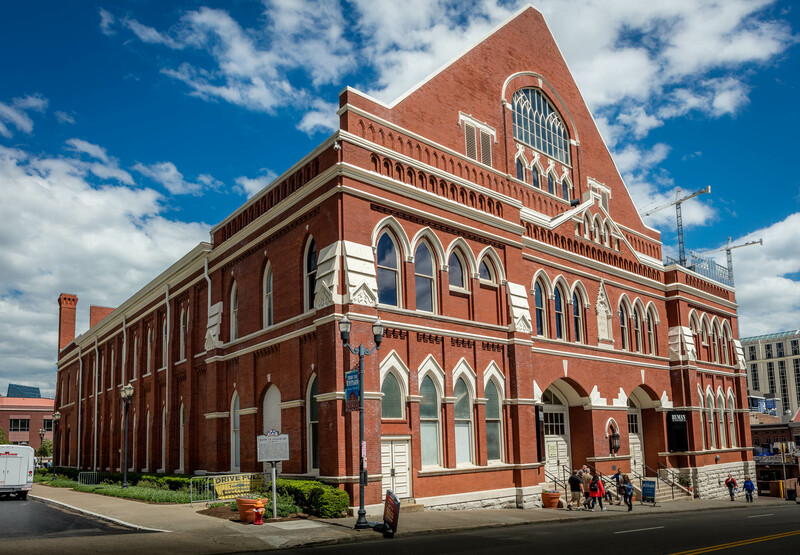 The Grand Ole Opry moved from the Ryman Auditorium to the Grand Ole Opry House in 1974. 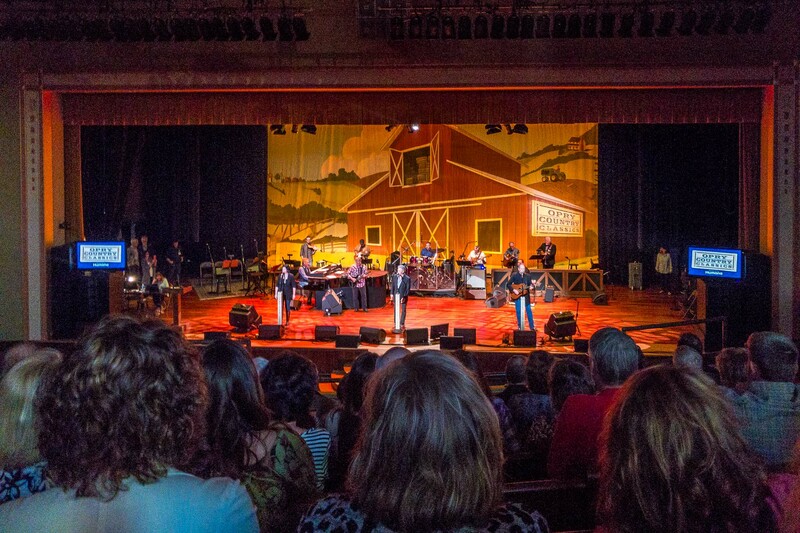 The grand Ole Opry House has 4400 seats and a circle at center stage is actually a part of the original Ryman Auditorium stage. 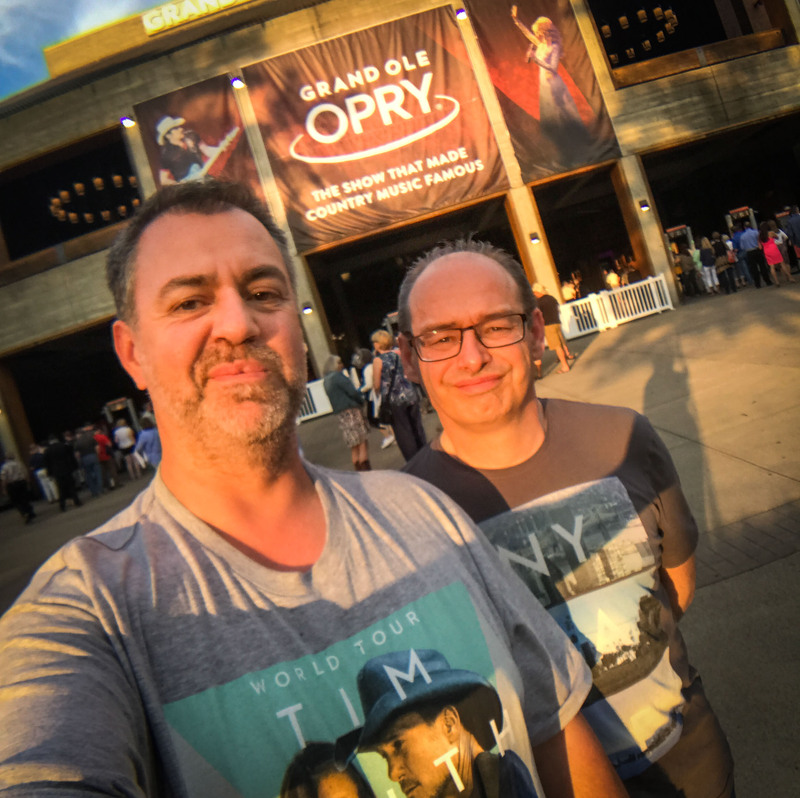 Seeing a show at the Opry was a dream come true and their backstage tour after the show was the icing on the cake. I had planned to write a daily blog post about my trip to Tenneessee, but oh boy, how I have failed. Even 3 months after being back home, I still have a couple of photos to process. But hey, I look at this way: taking this long to go through my photos keeps the memories alive. And there are plenty of nice memories. 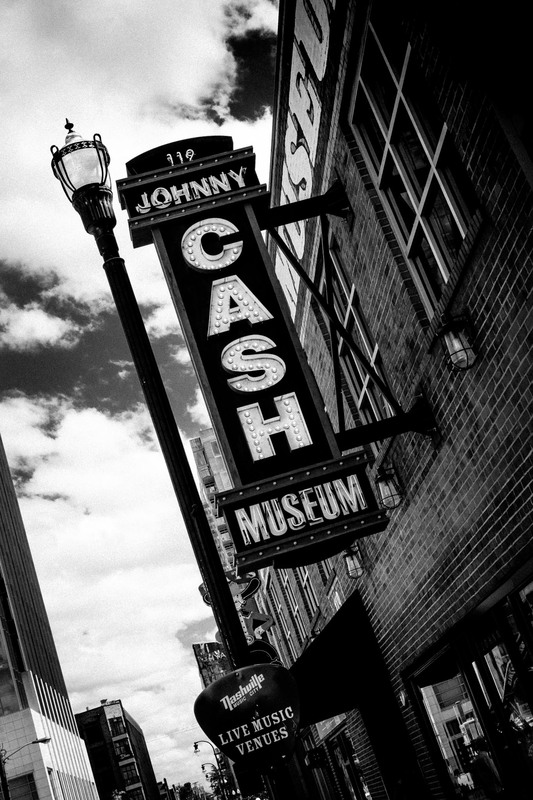 The Johnny Cash Museum on 3rd Ave in Nashville, TN surely was one of them. I liked Johnny Cash’s music but got really sucked into it after seeing the 2005 biopic Walk the Line with Joaquin Phoenix as Johnny Cash and Reese Witherspoon playing the role of June Carter. 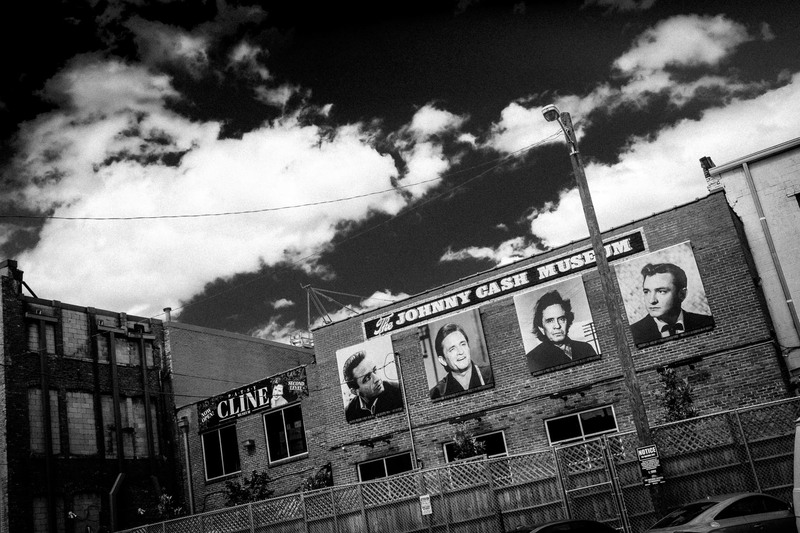 So the Johnny Cash Museum was a must-see place for me while I was in Nashville. I have totally fallen in love with Nashville! 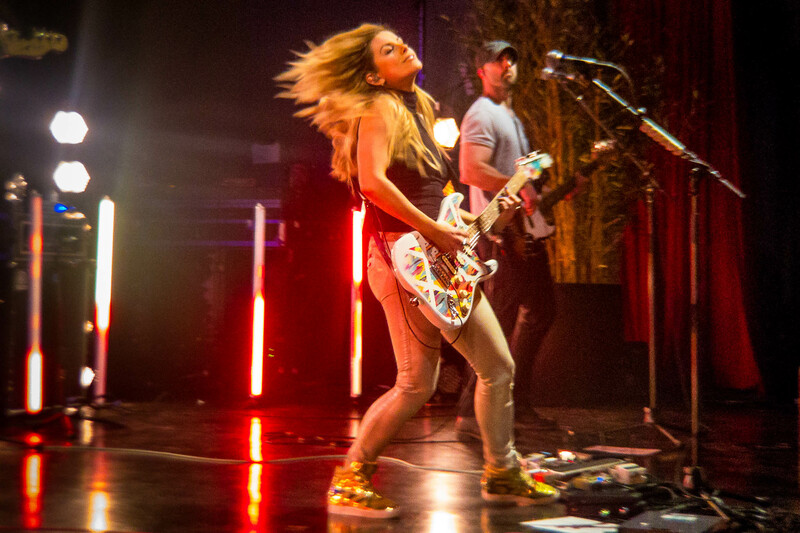 They call it the Music City and I love music. 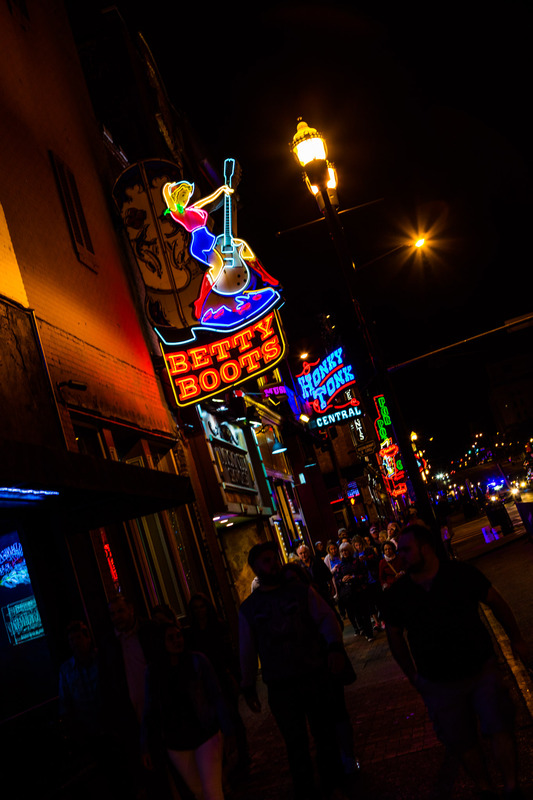 Nashville is obviously the heart of country music. But there so much more. Music streams from every bar and restaurant in the city. 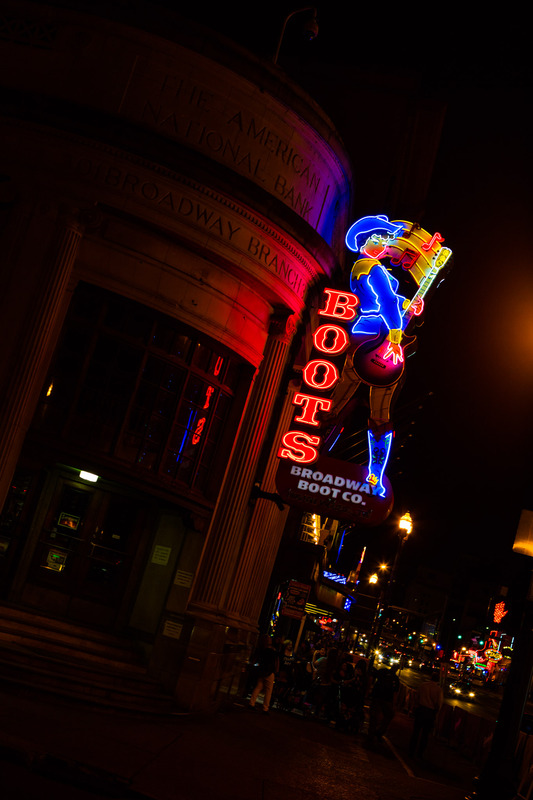 Bands playing the honky-tonks on Nashville’s Broadway compete for your attention day and night. Sometimes they even play too loud to have a normal conversation over dinner. But they add to the atmosphere of the city. It is cool to stroll up and down Broadway on a Saturday night, look at the party people, have a drink and listen to the bands wailing under the bright neon lights of the all the bars they play. "320 million male chicks gassed on their first day of life"
More and more accidents with bikes! The content and photos on this website by Kris Saelen is licensed under a Creative Commons Attribution-NonCommercial-NoDerivatives 4.0 International License. This site is the personal website of Kris Saelen: music lover that likes Springsteen, photographer with a latex fetish, foodie who loves to travel and ICT specialist from Turnhout, Belgium.